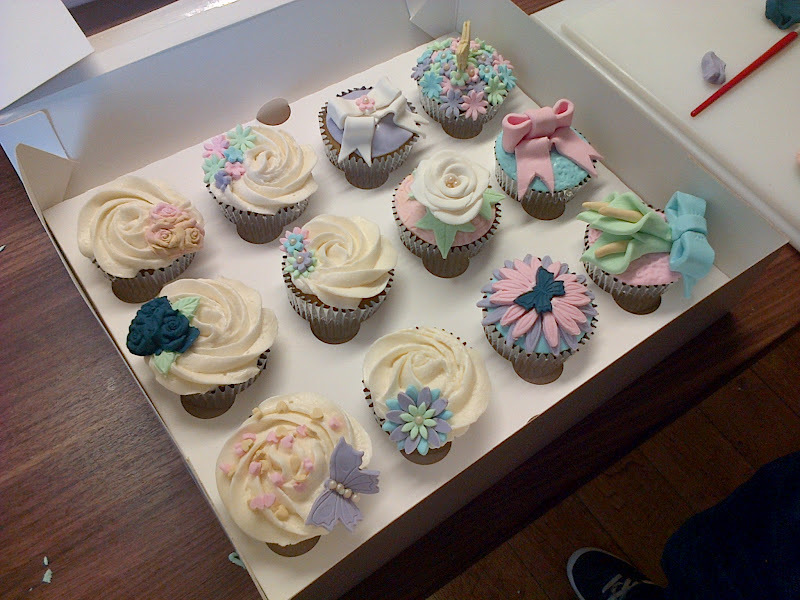 I recently attended a cupcake decorating class as part of my birthday present (thanks to the Man). It was something I’d been wanting to do for a while as I have no training of any kind when it comes to baking at all. 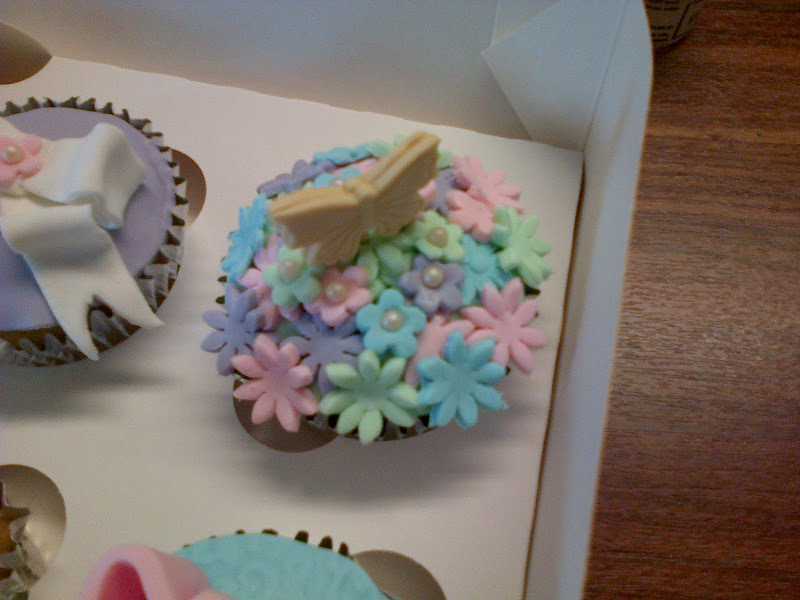 I couldn’t eat the cupcakes as they weren’t vegan but decorating them was so much fun, I didn’t mind. I couldn’t wait to put my new skills to good use. Well, the opportunity finally came around when I got my lavender extract in the mail. I immediately started baking these little beauties. I fell in love with pastels during the decorating class and wanted to continue in that fashion for a while. 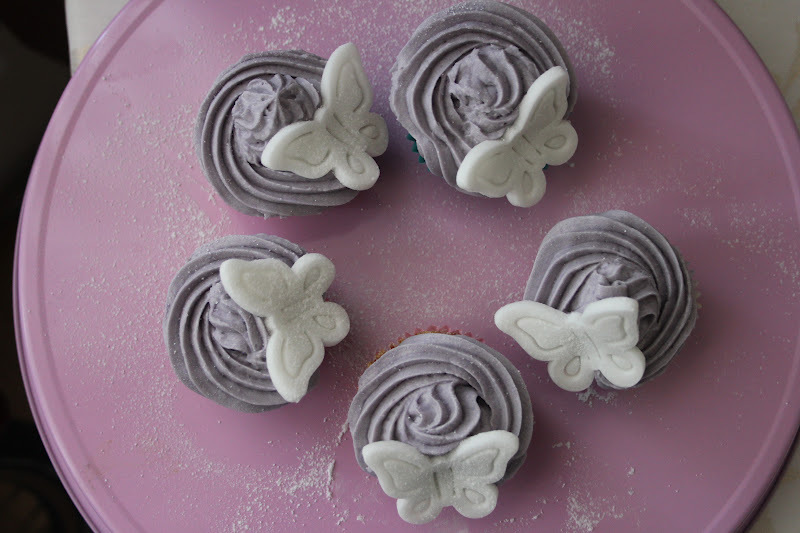 Lavender is one of those flavours that reminds me of warm summer days, clear blue skies and straw hats. 1. Pre-heat the oven to 180ºC. Combine the dry ingredients in a large mixing bowl. In a separate bowl or jug add the apple cider vinegar to the almond milk and let it curdle for a bit. 2. Add the wet ingredients to the dry mixture and combine well, but do not overmix (this creates a tough batter; we want our cupcakes to be light and fluffy). Spoon the batter into lined cupcake tins and bake for 23 minutes*. 3. For the icing, beat together the softened vegan margarine and icing sugar with an electric whisk, taking care not to cover yourself in white powder. Add the lavender extract and beat again. Mix the red and blue colours in a separate bowl/teacup/small container. 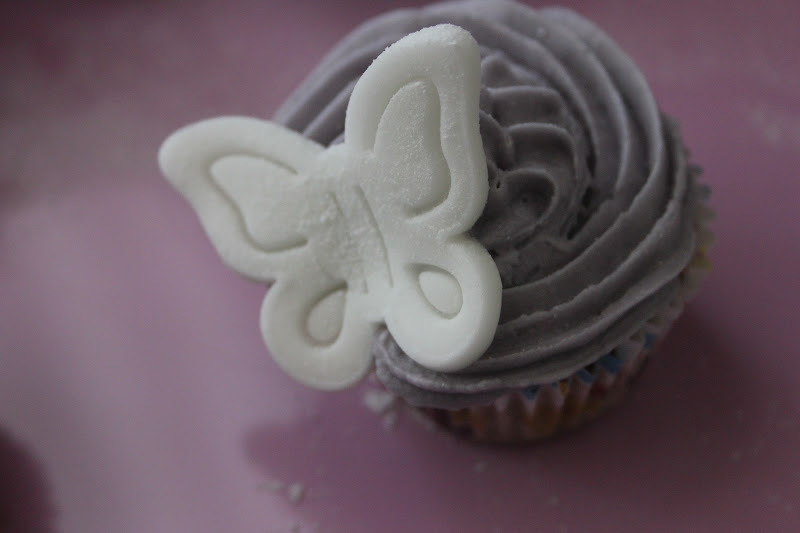 It will look terribly dark but believe me, it will fade to a pale lavender once you add it to the buttercream. Add the colour a few drops at a time and whisk until you are happy with the colour. 4. 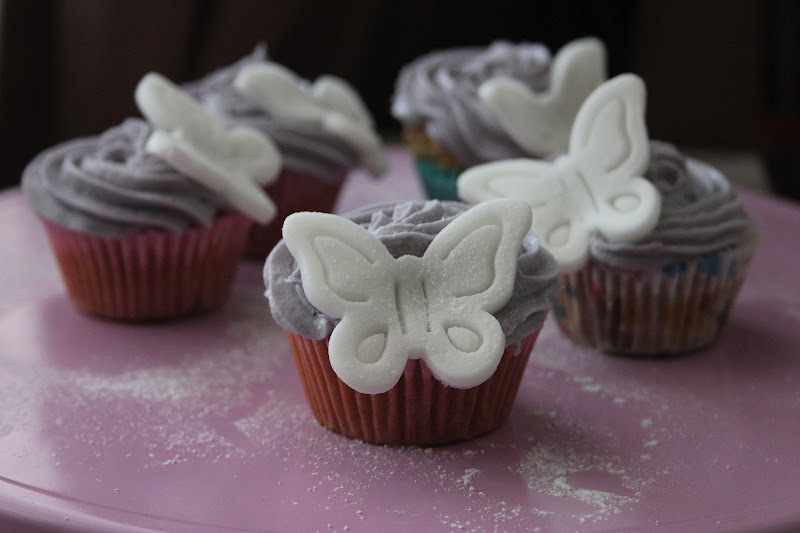 When the cakes have cooled decorate them with the icing and sugar butterflies. * If you feel like 23 minutes sounds rather pedantic, let me explain: I’ve tried everything from 20 to 25 minutes, and indeed anything in that range will do, but 23 minutes seems to be the perfect amount of time, at least for my oven. Do remember that every oven is different and maybe you will need to leave your cupcakes baking a little longer, or a little less. But don’t fixate too much on the time; half a minute won’t make a drastic difference. 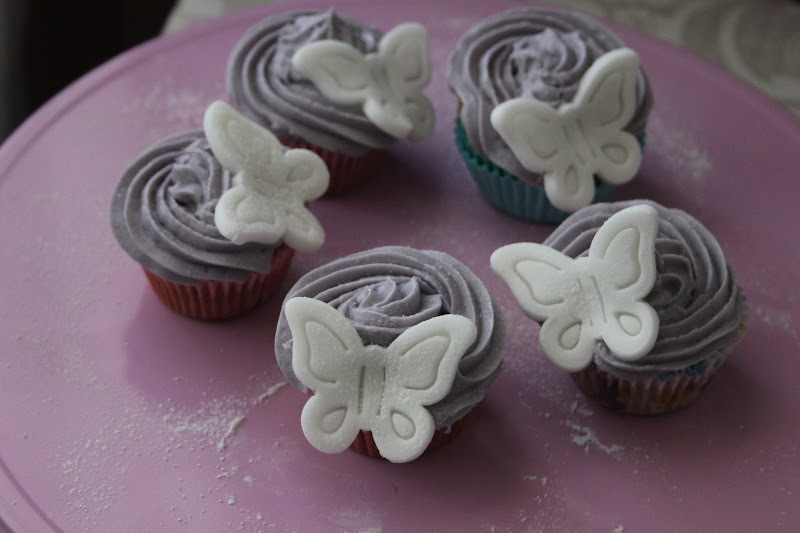 I am SOOO doing that lavender icing. Can I have some for my birthday in october please ???? It is lovely to see and I am sure it is delicious as usual ……. You are very talented!! They are so beautiful..! YUMMY!!! What a creative and wonderful blog! !